3-day battle came to an end. Let's sum up the results of the competition. Participant from Cyprus Kyriakos Savva scored 19.73 coefficient, and the coefficient of his rival Fawez Hammouda from Tunisia is 17.77. 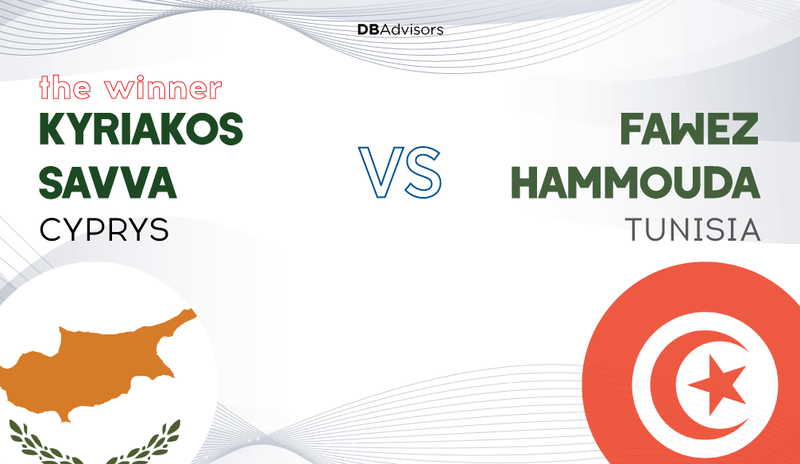 Thus, the winner of the 3-day battle is Kyriakos Savva, and he gets on his balance the sum of the coefficients scored by both participants of the competition. Congratulations! Kyriakos Savva from Cyprus and Fawez Hammouda from Tunisia. The participant who scores the highest total coefficient for 3 days will receive to his balance the sum of the coefficients scored by both users. Good luck to the participants of 3-day battle! Follow our updates! The winner of the 3-day battle is Kyriakos Savva.